Female Asian architect draws down the picture on the computer by her hands. She carefully draw every straight line. She can't bear herself to make any mistake. 4k00:15Asian female architect studying more detail knowledge about architecture. She sink herself in architecture and didn't even take a break in all day long. 4k00:12fast forward quick motion of a female architect doing her work day and night. She closely draws and checks the detail of the project. 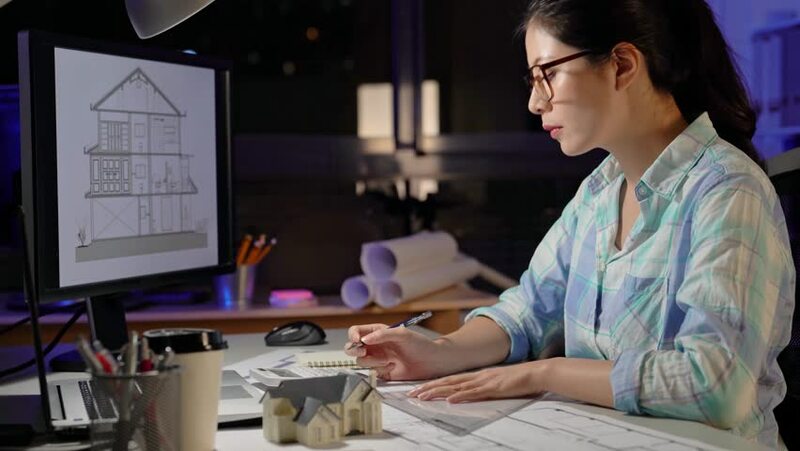 4k00:29Female Asian architect confirming details of the building to the client in order to make sure everything in the project and the blueprint is correct.